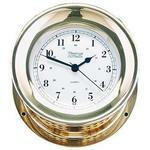 The Nautical Tambour Clock will always look brand new because the brilliant brass finish never tarnishes. 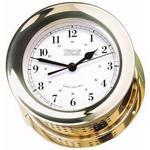 This clock is made to last a lifetime and will look magnificent on your nightstand or desk. The elegant brass finish complements the true North American hard wood perfectly. 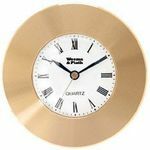 Elegance surrounds this clock, as it is beautifully shown with a brass finish around the clock and also on the feet of the clock. 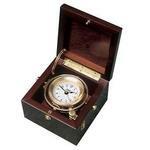 Listed below are some of the features that are associated with the Nautical Tambour Clock. 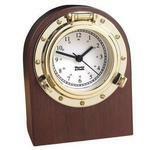 Enjoy having a beautiful and functional clock that will last a lifetime by purchasing the Nautical Tambour Clock. This clock includes a four color gift box, battery and instructions. This is a great opportunity to surprise a family member, friend, or give yourself a gift that is beautiful and practical.